Hola! This is Shoko from Incident Response Team. 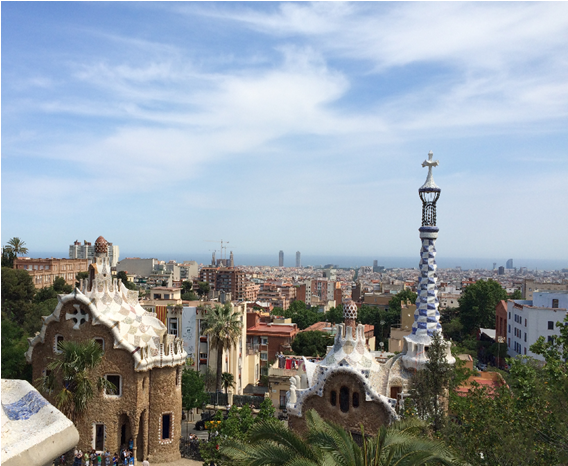 Last month I attended the APWG eCrime 2015, held from May 26-29 in Barcelona – the cosmopolitan capital of Spain’s Catalonia region, defined by quirky art and architecture, imaginative cuisine and siesta. You may well know that APWG, founded in 2003 as the Anti-Phishing Working Group, is the global coalition of industry, government and law-enforcement sectors, focused on unifying the global response to cybercrime. APWG provides a forum to discuss phishing and cybercrime issues, to consider potential technology solutions, and more, with over 2,000 institutions participating worldwide. The APWG eCrime (Symposium on Electronic Crime Research) 2015 is one of APWG’s rotation of global meetings, held in Europe this time, bringing together a variety of participants from the law enforcement, financial institutions, security vendors, CSIRTs and more. At the event, I joined a panel session focusing on cybercrime trends from APWG members around the globe, namely from MyCERT, CERT.br and CNNIC, and presented on Japanese phishing trends in 2014. The following graph shows the number of phishing incidents reported to JPCERT/CC since 2012. The red block shows the number of overseas brand phishing sites (phishing sites spoofing overseas brand websites), and the blue block shows the number of Japanese brand phishing sites (phishing sites spoofing Japanese brand websites). The number of overseas brand phishing sites has always been observed at a certain level, but what is interesting is that the number of Japanese brand phishing sites showed a sharp spike at the end of 2013, and then dropped significantly in August 2014. There could be several reasons for this, but one noteworthy event is that in November 2014, the Japanese police arrested cyber criminals who had illegally set up malicious infrastructures for phishing purposes. We assume that the timing of their investigation (prior to the arrest), had some relation to the sudden drop of phishing incidents reported to JPCERT/CC. At that time, we also worked closely with relevant ISPs to investigate the case, and provided information to relevant parties from a technical standpoint. This case was also covered in the National Police Agency’s presentation during APWG eCrime 2015. 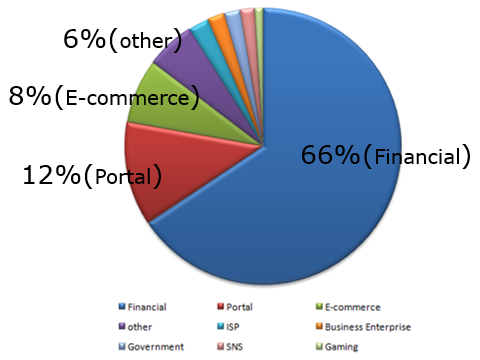 The following graphs show the top categories for overseas and Japanese brand phishing sites. 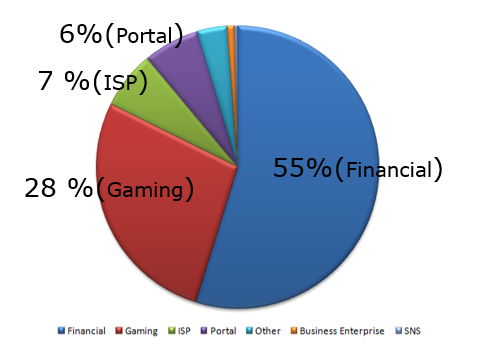 The top category for both is Financial, but interestingly, Gaming comes second for Japanese brand phishing sites. This could be one unique observation in Japan, as one of the famous gaming superpowers. The APWG eCrime 2015 was a significant place to strengthen collaboration among persons/organizations pursing the same goal, and to have productive and lively conversations. Throughout this experience, I strongly reconfirmed the importance of close collaboration among relevant parties, which is the key to combat against cyber incidents and criminals. Well, of course it was Barcelona – Iberian pork and black paella were wonderful, but I would like to add that “agua con gas” (sparkling water) was also good! Her primary responsibility is in providing coordination and assistance for cyber security incidents related to Japanese networks. She actively collaborates with both local and global security communities.